Our 400m² mas in an old farmhouse completely renovated. The mas can be subdivided in order to accommodate between 2 and 20 people, and can be rented for a single week or several weeks if you want to explore the Provence and enjoy fully our 8 acres of private park. The mas has 10 spacious rooms carefully decorated and quiet each with their own private bathroom, three bedrooms have direct access to a shaded patio and are just in front of the garden. The living room, kitchen and lounge with stone fireplace are located on the first floor with direct view and access to the 8 acres park that borders the property. The decoration of the house is both traditional with stone walls and exposed beams and modern in its colors and sleek design. A fully fenced pool surrounded by a beach will allow you to enjoy the hot summer days and warm evenings. La Bastide d’Odette welcomes you and your family, friends or groups all year round. 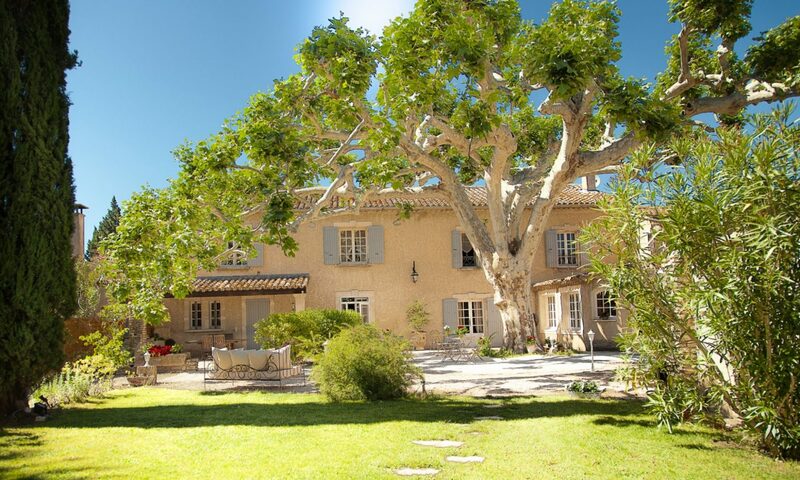 Located between the Alpilles and Luberon, the ideal starting point for visiting the region or for your tradeshows. (Just 10 minutes from Avignon and its famous Palais des Papes, 15 minutes from the beautiful village of Saint Rémy de Provence, 25 minutes separate you from the Isle sur la Sorgue, and 40 minutes from Arles and its Roman ruins, circus, and theatres ).